Help create a plastic-free future with Vivreau premium water systems. Over the course of three decades, Vivreau has become the leader in sustainable hydration for business, offering on-premise bottling and dispensing solutions, and unmatched water purity. For high volume water needs, turn to Vivreau’s V3-201 high volume bottler. This bottling system can deliver 200 liters of chilled still or sparkling water per hour, thanks to its high-performance ice bank refrigeration system. Its user-friendly taps make staying hydrated easy, even in crowded conference centers or banquet halls. To save space without sacrificing significant water output, try one of Vivreau’s countertop bottlers. These bottlers can serve 80 liters of still or sparking water per hour. 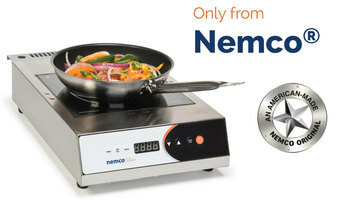 The V3-204 model sits on top of the counter, while the V3-205 model is mostly undercounter. Either of these bottlers is ideal for any property that wants to bottle its own water and offer self-serve options in corporate kitchens or lounges. For an option that will wow your guests, try the Vi Tap! Guests can use the touchpad to dispense still and sparkling water, and even hot water with the 2H model. The Vi Tap delivers a perfect stream with no splash. It can dispense 80 liters of cold water and 13 liters of hot water per hour. The Vi Tap is a beautiful self-serve dispenser for VIP lounges, corporate kitchens, spas, and more. Vivreau’s extra-durable glass bottles are designed to be used again and again, making a kinder impact on the earth than disposable plastic bottles. These bottles come with still and sparkling icon caps, which have food grade silicone seals to keep water fresh and pure. Vivreau offers custom branding with your logo and an environmental message. More people want healthy and sustainable lifestyles, and Vivreau has become synonymous with environmental responsibility, health and wellness, and unforgettable brand positioning. Embrace a better water solution alongside many top organizations by using Vivreau’s modern and sustainable dispensers and bottles. Learn how you can help create a plastic-free future with Vivreau premium modern and sustainable water systems. 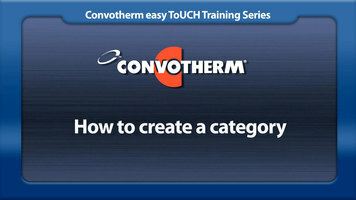 Learn how to create a category in the cookbook using Convotherm Easy ToUCH controls with this quick video! 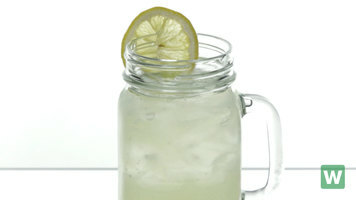 Give your customers a rustic presentation that they're sure to remember with this Libbey mason jar. Serve drinks in it or re-purpose the jar to hold utensils, straws, and more. The thick handle is built to withstand daily use in your establishment.